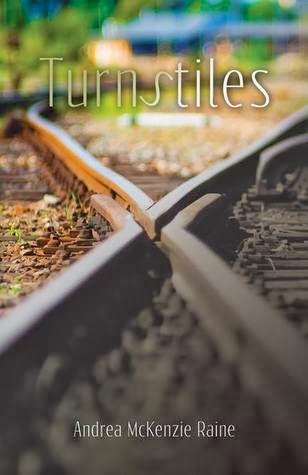 The Thursday Interview: Interview with Andrea McKenzie Raine, author of "Turnstiles"
Interview with Andrea McKenzie Raine, author of "Turnstiles"
Today I'd like welcome Andrea McKenzie Raine, author of "Turnstiles" to the Thursday interview. Before we get started, a quick intro! Andrea McKenzie Raine earned a B.A. in English Literature at the University of Victoria. She has attended the successful Planet Earth Poetry reading series (formerly known as Mocambopo) in Victoria, BC since 1997, and participated in the Glenairley writing retreats led by Canadian poet and novelist Patrick Lane in Sooke, BC. In 2005, she published her first book of poetry titled A Mother’s String through Ekstasis Editions. Andrea lives in Victoria, BC with her husband and two young sons. Turnstiles is her début novel. If it was necessary, then absolutely. If someone I loved was in trouble – in a life or death situation – and it took drastic measures to save them, then I would do whatever it took and face the consequences later. I’d rather risk breaking the law than lose a loved one forever, if there was no other choice. Being alive means breathing in and out, and living from day to day; doing the bare minimum to stay alive. Truly living means taking chances, challenging yourself, following your heart, finding your true path, experiencing new places, and chasing your dreams. I've always had a need to journal my thoughts and events unfolding in my life, as well as create characters and other worlds and situations. It is a creative outlet, but also something that has always been deep inside me. I've been writing poetry and short stories since I was a child, and dreaming of becoming a writer. I believe humans want children in order to propagate, ensuring the human race continues. We also want children so that we will have pieces of ourselves exist in our offspring, and we can achieve immortality in future generations. We are also creatures who, for the most part, crave nurturing and love, and have a need to pass on who we are and what we have learned. No.5 What was the biggest challenge in creating your book "Turnstiles" ? My biggest challenge in creating my novel, Turnstiles, was figuring out where the journey would lead. I put my trust in the characters, and let them speak. I have learned that making bad decisions doesn't necessarily mean that things can’t get better. It just takes courage to change your direction, and get back on track to where you are supposed to be. No.7 How did you come up with the title "Turnstiles" ? The title for my novel, Turnstiles, came to me in a flash early on in the writing process. I felt that the story was unfolding as a journey inside the journey of the book; the characters were crossing borders, geographically and mentally. There were internal struggles occurring within them. They were exploring their deeper selves through an introspective journey, as well as embarking on travels to different physical surroundings. The idea of turnstiles, a means of moving through a gate – and the imagery turnstiles conjures up – trains, passports, crossing over, switching tracks. It was clear, Turnstiles evoked the themes in my novel. It depends on whether it is constructive. I am always ready to learn more – to grow and improve. However, if I am given unfounded criticism or non-constructive criticism, something closer to insult, I try to let it roll off my back. You need to have thick skin to receive rejections, to take a second look at your work and be able to filter what is helpful criticism, and still hold firm to what you believe is working. In the end, I feel I am open to other opinions, but I have to keep believing in what I am doing and not be deterred. I think people should read Turnstiles because it is an entertaining read with a deeper message. It explores the human capacity to change and to grow, through unforeseen circumstances. If you open yourself up to the universe, to new experiences, there is so much that can happen. It is a book about challenging the divisions in society – the rich from the poor, the homeless and unemployed from the steady workers. How do we end up where we are? The fact that the grass isn't always greener on the other side, and that we all have our own struggles. In Turnstiles, I try to break apart these stigmas in society, through a fictitious story with elements of truth about how we perceive each other, how we can engage, and how everything can change in our lives with one decision to do something different. There is always something, because even if we say there is nothing we are acknowledging the idea of ‘nothing’. Even if there is nothing, the idea of nothing still exists, which is something.